Seeds, Blossoms, Scents, Tastes, Delight! There's Still Plenty of Time to Sow your Seeds! The soil temperature levels in Europe and elsewhere are approximately three to four weeks behind due to low temperatures resulting from particularly heavy rain over the Winter and late freezing. There is still plenty of time to sow outdoors. Do not let the size of your garden, balcony, or window sill, dictate the grandeur of your ideas and aspirations, when the children and you are working on planning and designing your herbal and floral glory! When you have all made your wish lists, it would be advisable to enter the common plant name and / or the Latin name, from the seed catalogue, in a search engine to find out if the plant, its seeds, or flower heads may be poisonous, or if the sap burns the skin, as is the case with all the many types of euphorbia. Consider anyone in the household with breathing problems from asthma to bronchitis and emphysema. There should be no seed trays in their bedrooms but, of course, they can be in other rooms. Some plants have a very high pollen count and could prove to be irritants. 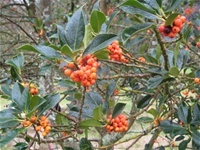 If you have a cat or dog, you’ll need to check if the plants you fancy might poison them. If you enter the full plant name, as above, and ask if it’s poisonous to ‘humans, cats, dogs’ – you’ll soon find out if you are going to grow it or not! This is a very interesting exercise, as children learn that plants are more than just pretty things that come home in wrapped bunches. They can be poisonous, but they can also be used in cures and remedies, and are the basis of many of our everyday medicines. The rich history of plant lore in every country is a fascinating subject. We can all find out about the use of plants native to where we live. A fascinating new perspective can be had on how important Nature and plant life are to our everyday lives. One of the first thing to consider is how much time and money you have to spend, and on what. A small budget can go a very long way. Planning carefully and then trying to stick to the Plan are important. Packets of seeds usually contain far too many seeds for one garden, never mind window boxes and window sills. Rope in some family and friends, so that you can all buy a few packets, and share the contents. The planning can be done with the whole group, and within the families, to best budget for your needs. Some Local or Municipal Authorities let or lease allotments. There is very often a waiting list, join it! Unlike the Lottery, your name will come up, eventually. In the meantime, why not go down to the allotments over a weekend with your lists and your family and friends, and chat to the holders. They will know a great deal about where the withering wind comes from, the micro-climate of your neighbourhood, and what plants thrive. Even if you are planning for window boxes and window sills, still ask for advice – you’ll get more than you can handle! Encourage the children to ask for advice on their particular choices, they may get suggestions for plants that would do much better for them. Pretty much all of the above are possible. If we think of colour first ~ packets of mixed wild poppies are very easy to grow and give a great range of colour. Once the petals fall off and the seed heads darkens and ripen, they must be kept on the stems until they are ready to split open. Then, put a paper bag over the pot, turn it upside, and snip off the seed heads at stem base level. Huge numbers of tiny seeds shall fall out immediately, and many more will come out as they hang, drying, in the paper bag. Tie the bag closed and hang it someplace dry and cool. These seeds can be scattered widely around any garden, on wasteland in the neighbourhood, in planters on balconies, and given as presents to family and neighbours, in little twirls of coloured paper, tied with ribbon. Poppy seeds are viable in the soil for over forty years: that is why we see them where ground is turned over for road building; and why they appeared all over the Western Front during WWI. Poppy seeds can wait for decades for the light to reach them! They can be sprinkled on top of tarts, bread, scones, or petit pain, just before baking. Nasturtiums also come in many colours and will grow in pots or will tumble down from a basket or window sill. Unlike the poppy’s tiny seeds, they have large seeds, which even small children can sow and collect when they become ripe after flowering. They can then be scattered also, or given as presents, as with the poppies. Nasturtium flowers are lovely and colourful in a salad, and add a slightly peppery taste. Dianthus flowers (Dianthus spp) are also called “pinks”. They belong to a family of plants which includes carnations and are characterised by the spicy fragrance the blooms emit. Dianthus plants may be found as hardy annuals, biennials or perennials, are very good in pots, and lower growing ones can take a fair about of wind battering ... In this family of Dianthus also comes Sweet William, with a glorious array of colours. My Grandpa used to plant his small front garden packed full of Sweet William. I can still picture the glorious colours in my mind’s eye. He also grew fruit and vegetables on two allotments. My mother and our neighbours were delighted with the array he brought every Friday when visiting. The sound and scent of shelling peas on the step with, my sister, is still vivid. Pansies come big and blowsy or small and demure – in almost any colour you can imagine – they are less hardy. Geraniums and pelargoniums are very popular in the Summer months. They have brightly coloured flowers, often have scented leaves, and help keep mosquitoes away. 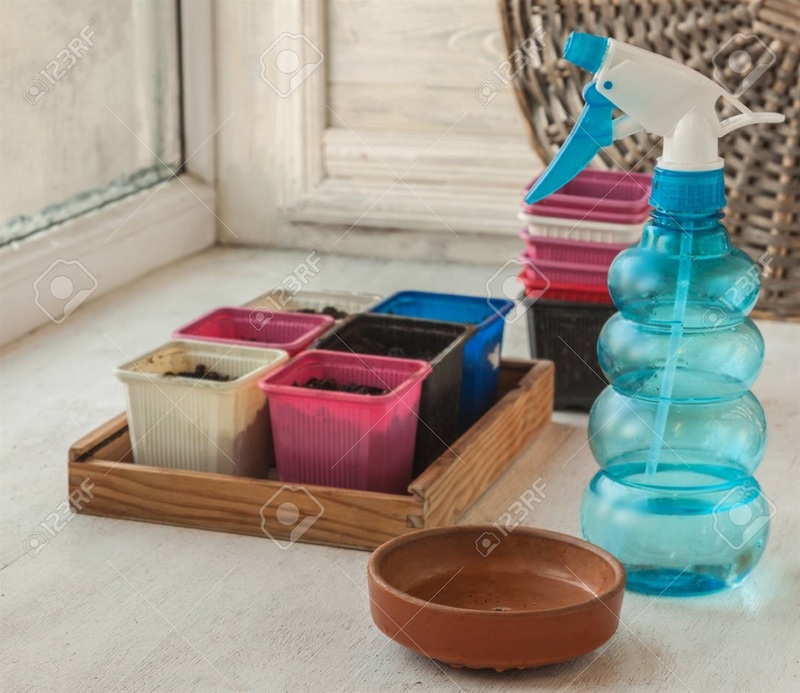 All the water we use for watering pots or trays indoors, which has been taken from the tap, must be let stand for 48 hours before use, to ensure that it is aerated and that it has reached the ambient temperature. In some places, water from the mains supply has fluoride in it. This has to be let dissipate. Garlic can be potted up in a large yoghurt pot, using an organic garlic head which is beginning to sprout. Divide the cloves gently, put a good layer of polystyrene beans in the bottom, add a mix of potting compost and some garden soil. Gently push the cloves into the soil so that only the shoot is sticking up, and water them in. One garlic head should fill two large yoghurt pots. Always plant garlic on its own, and do not put a garlic plant pot anywhere near onions, scallions or chives. Depending where you live, non-organic garlic may have been treated with irradiation to inhibit sprouting, delay ripening and to increase longevity. Anything irradiated will not sprout or grow. In the USA, irradiated food for sale should carry statements “Treated with radiation” or “Treated by irradiation” on the food label. Bulk foods, such as fruits and vegetables, are required to be individually labelled or to have a label next to the sale container. The EU is considerably more restrictive in its approach to the irradiation of food as a bloc. Although countries vary in their permissions, dried herbs and spices, and dried vegetable flavourings, are amongst a limited list of allowed irradiated food substances. Onions and garlic should never be stored anywhere near each other, as they cause a chemical reaction in each other which makes them sprout and bolt quickly. 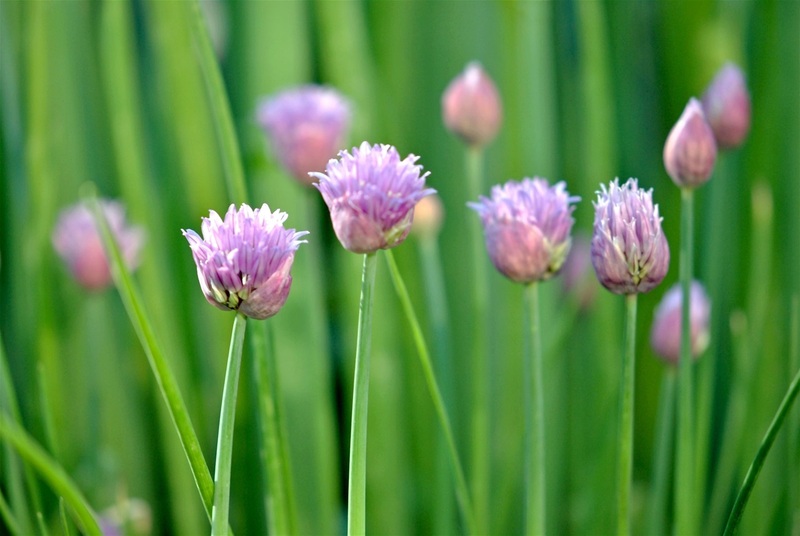 Very easy to grow edibles are garlic; chives, which you can snip as required, and which have very pretty edible mauve flowers; scallions which can be eaten whole from the soil with a rinse, or by snipping the leaves for a stronger flavour than chives; parsley, basil, and coriander with its aromatic seeds; rocket; borage with its pretty edible blue flowers, will all delight your senses. Keep removing the flowering heads of basil as soon as they appear, so that it keeps producing fresh leaves. Otherwise, it literally ‘goes to seed’. Basil comes in many types, some sturdier than others - it would be worth deciding on what space you have, inside or outside, and maybe choose an outdoor and indoor variety. Basil should be let get to the stage of drooping, before it is watered. It hates sitting in damp soil in a pot or outdoors. The best way to work out how much and how often a plant should be watered, would be to check where it comes from originally. Basil comes from hot, dry, Mediterranean countries. ROCKET plants seed themselves in gravel and so are very hardy. It grows very fast. A few fresh leaves in an ordinary salad lifts it to a level of very lively. The leaves are very rich in Folic Acid. As the leaves get older they are excellent when chopped, and added to a soup, pizza, or a casserole. The seeds add an unmistakably peppery flavour to dressings, soups, sprinkled on bread before baking. Rocket is very rich in Vitamin K (which has a potential role in bone health by promoting bone formation and strengthening). BORAGE is rich in Omega 6 (vital in joint health, immunity and skin care). It's also rich in Vitamin A (140% of RDA), Vitamin B3 (particularly rich in niacin. Niacin helps lower LDL cholesterol levels in the body). Vitamin C ( it has an immune booster, wound healing and anti-viral effects). It contains a high level of iron (41% of RDA) which a component of heamoglobin in the red blood cells: iron determines the oxygen-carrying capacity of the blood. GARLIC people who eat fresh garlic are two-thirds less likely to catch a cold. This is because it contains allicin, which fights infection, and is responsible for the anti-inflammatory activity of this plant. PARSLEY is rich in folic acid and has further health benefits listed below. Because of the currently particulary low soil temperatures in Europe, and elsewhere, due to over-sodden soil and late freezing, there is still time to sow seeds outdoors. Our family tradition is to drill three rows in the garden on Saint Patrick's Day, and having soaked the seed in hot water, and poured a full kettle of boiling water into each of the drills just before adding the seed, and covering over the soil, and we are almost always successful. If you are sowing in the soil or in a pot, it is always best to soak the parsley seed in hot water for some time in advance of sowing. Parsley can help reduce the danger of a variety of cancers; have anti-arthritic properties and powerful anti-inflammatory benefits; Bastyr University has listed parsley as one of its recommended herbs for remedying urinary tract infections as an antibiotics alternative; apigenin and myristicin (found in parsley) boost the productivity of one of our liver’s enzymes which detoxifies our bodies. A routine garnish of parsley will help defend against cardiovascular issues like stroke, coronary attack, and atherosclerosis. Please see my Posts, STUDENT! HELP'S HERE, and TEACHERS' NOTES, which give further details of the health and nutritional benefits of herbs which we can grow. Children, youngsters, and all of us can become very distanced from the knowledge of where our food is sourced and produced. I believe it's important for us all to recognise the time and effort put in by farmers of all kinds; by bakers of breads and cakes; preservers of chutneys, jams and marmalades; curers of salmon, beef, sausages, rashers of bacon; and all those whose work with food and contribute to the not so simple pleasures in our lives. The respect we teach our children to have in the herbs, fruit or vegetables they grow to share with the family and friends, gives a them an understanding of and regard for everyone who works to make good quality food. 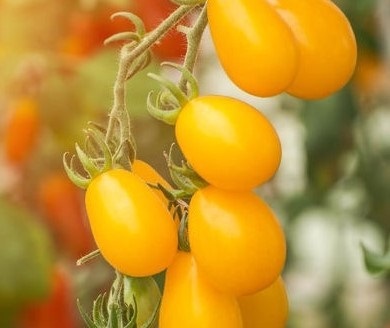 Tiny orange or yellow tomatoes can be grown on a window sill or on a balcony. The pop of colour and flavour as you bite into your first ripe home-grown tomatoes, is never forgotten! 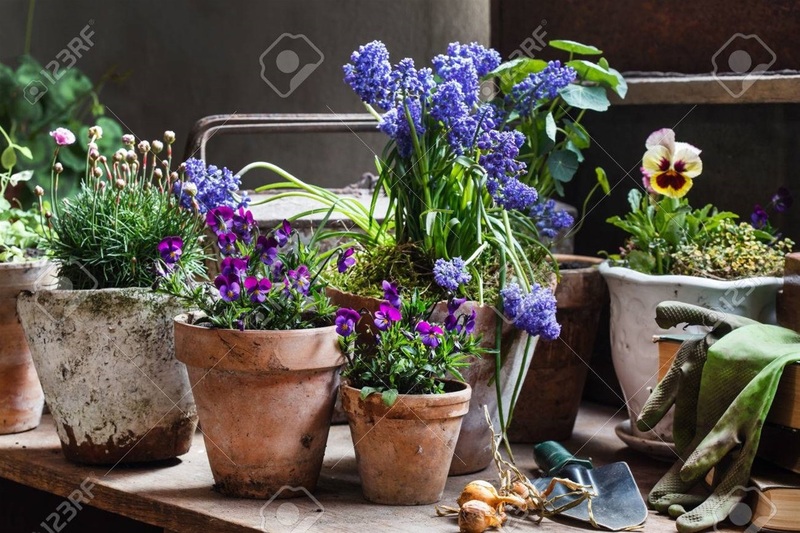 Consider taking photographs of each stage of each person’s progress, from the choice of seed packet, or seed head, or cutting; to painting tubs, tray, and pots, and any useful containers; to the plants thriving in the ground, in pots or planters on the balcony, or on window sills. Make a point of dating the photographs of the first appearance of each shoot, with the names of the plants prominent in each picture. 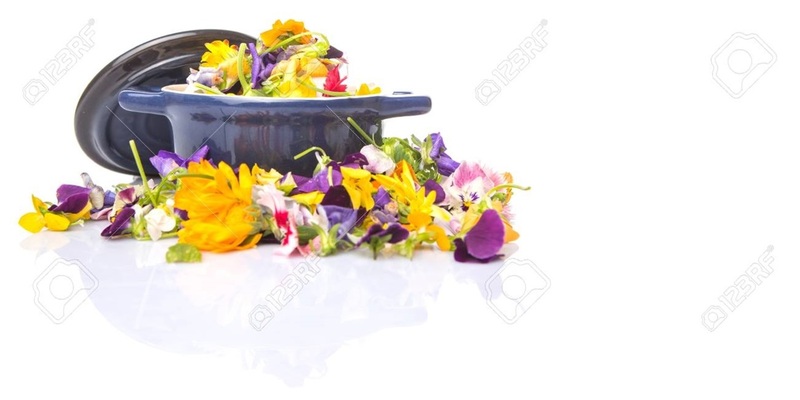 Every family might like a scrapbook of their work from the empty container to the flowering bounty. This can be a real scrapbook, or a folder on a laptop or phone scrapbook. Children's drawings of their herbs or fruit flower heads, or choosing a very few to dry flat on tissue paper under the weight of never moved heavy books or in a flower press, offers additional experiences for children and young people to engage with Nature, in noticing petals, stigma, anther, sepal, ovary. 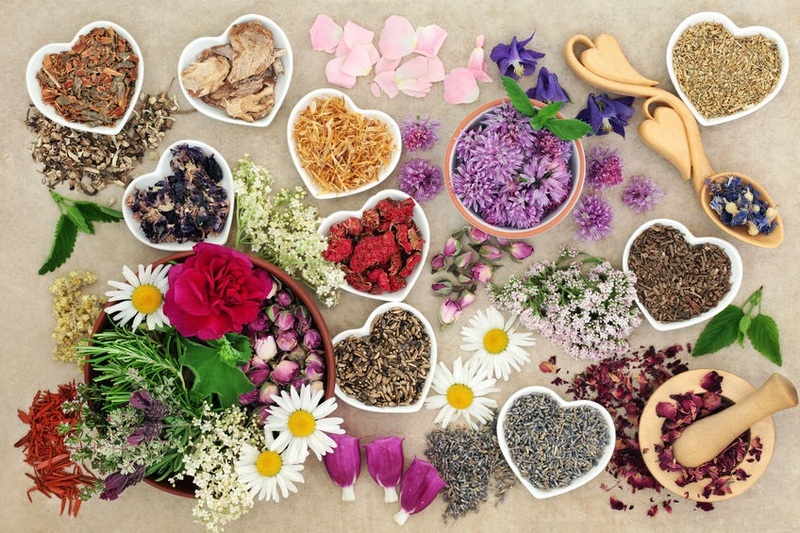 Go to https://www.proflowers.com/blog/flower-anatomy for a clear diagram of the parts of a flower head and all its parts. Imagination, enthusiasm, and a sense of adventure will make even the boring jobs, like washing pots, brushes or sponges, an acceptable part of the whole Project. Doing these jobs together makes them more enjoyable, and many interesting questions arise as you chat about how you imagine your Nature’s bounty shall be in reality! All the choosing and deciding are enjoyable parts of the undertaking. Children and youngsters love to get involved in plans, making choices, taking on responsibilities. Children of any age and ability can take a meaningful, fulfilling, part in the deciding and doing. No-one should feel left out. Older family or neighbours may be full of information, always ask ~ people like to be asked! Start saving containers as detailed below from as early as possible. ** You cannot have too many! Most garden shops, greengrocers, and supermarkets have free catalogues of the seed ranges they carry. These are useful at the early stage of planning the Project, as most children and many adults may have little or no gardening experience, and will need to learn if the flowers and herbs preferred, would germinate and grow in their particular conditions. You also need to know if something’s going to grow six foot tall, in the wrong place! Children love projects; love planning and discussing, and especially, they love watching their projects develop and grow! Please see my Posts, NATURE IN THE CITY and CHILDREN'S CITY LIFE, telling of many, different, activities families undertake together, including a close-up on Nature in surprising places. Having a job to undertake, and to follow-up on, is a good experience for all children from a young age. They develop a sense of responsibility, and they become knowledgeable on their new subject. They learn to share, be supportive of others in their jobs, and to ask for help or advice. These all strengthen children's ability to communicate with adults and other children, broadening their vocabulary, and encouraging the development of their self-confidence and self-reliance. If you know how to find the North Star in the night sky, or how to read a compass, you’re ready to begin! (a) If you want to plant into soil in a garden or allotment, is it alkaline or acid? Is it heavy and cloggy, or is it light and free-draining? What aspect does your ground have (where is your garden in relation to the position of the Sun at various hours of the day). ~ South, South-West, West, North-West, North, North-East, East, or South-East? If the sun comes in your bedroom window at the crack of dawn, you can be fairly sure that window is facing South or South-West. If a room always seems dull, it could be facing North or blocked from sunlight by neighbouring buildings, trees or shrubbery, or even ivy. Check from inside and out to see if any neighbouring buildings or trees block the sunlight from any part of your garden, flat, apartment, or wherever you live. Make a realistic choice of how much space you will be able to manage ~ you should try to dot your splashes of colour around a garden for more impact, rather than just concentrate on one spot. Children especially like having their own piece of garden (window box, etc), which they can design, plant up, and maintain themselves, with help if required. (b) If you are using a balcony to hold your containers, you will need to find out how much weight it can bear; find out its aspect, as above with the garden / allotment. You will need to discover if there is anything external, a tree, another building, another balcony, which will block your sunlight for any significant part of the day. You can find this out, on a day off, by putting down paper markings on the floor of a room, or chalk markings on the base of a balcony, as the sun passes over through the day, and colour in those spaces that get little or no light. Those places may be where you could keep your gardening materials tidied away on a balcony, and so lose no space for precious sunlight! (c) As above, go around the rooms of your house, apartment or flat, and decide on their aspects and if anything is blocking sunlight from your window sills. Start looking from outside first. Some older buildings have large, deep, window sills, sometimes with wrought iron railings. These would be perfect for growing bushier, hardier plants, which you could secure in place, once they have gone past the seedling stage and are small but hardy. Initially, the plants would be taken in at night, to let them harden without getting a shock. Once you are pretty confident the nights will not be cold, you can start leaving the pots out. Blue or white rosemary, borage, scallions, dianthus, bay leaf shrubs, chives, rocket, and various types of mint, will all take a fair amount of battering from wind. If you seem to live in a wind tunnel, consider the horticultural netting that would give some support and protection. Older buildings of red or brown brick or of stone blocks, soak up the heat of the day, and release it slowly during the night. The advantage of this is that your plants are situated in a more stable environment, less likely to experience the shock of sudden extremes of temperature. This leads to a steadier growth pattern - less chance of leggy, spindly, unstable, shoots, and a better chance of sturdy seedlings, more likely to produce thicker foliage with more robust stems. Choose the prime locations in a garden or on a window sill for your more delicate plants, or your fruit bearing plants which will require sunlight and warmth for ripening, and let the more robust specimens fight with the elements for their survival. Indoors, some rooms are warmer than others. Kitchens and breakfast rooms, living rooms or bathrooms, are usually the warmest family rooms in the home. A separate dining room is usually cooler, as most people do not use a dining room daily (but is probably warm enough to germinate seeds ~ the only caution is to remember to water the seedlings if a room is rarely used). Bedrooms vary in temperatures. Babies’ rooms are not warm, but have sufficient heat for the baby not to get cold if he or she kicks off the covers (and so are warm enough for seeds to germinate). Older people may like warm bedrooms; other people just like to be able to wander around the bedroom in great comfort and little else (these rooms should be especially good for germinating certain types of seed). There are some, like me, who prefer a cold bedroom, with a large open window, Winter and Summer (seeds will still germinate here)! Who doesn’t like map making? Maps of a garden, allotment, house, apartment or flat - there’s a great deal to discover. Plain sheets of paper and some coloured pencils and chunky crayons, for the youngest children, plus rulers for working out the path of the sunlight, on the kitchen table or the floor, are the start of your Adventure. Some Local Authorities provide free or very inexpensive compost made from their Bin collections – they’re just returning what you gave them previously. It is always worthwhile going online to the local authority Parks and Gardens Section. There may be details of free classes on starting a garden or lectures on local flora and fauna held in nearby libraries or town halls. Depending on your elected officials' mandates, you may have a very active pool of volunteer and paid horticulturalists, keen to show off the beauties of your neighbourhood. These people would be full of information on what grows well and where, and they should be able to point you in the direction of any free or cut-price materials for getting started on your new horticultural and market-gardening careers. If you are going to be working in a garden or a neighbourhood allotment, it would be best for everyone to go for a trip around the space, paper sheet in hand, supported by a piece of cardboard or a chopping board, with pencils and crayons in pockets, noting the easy to reach bald patches, where a splash of colour would brighten up a whole border, and marking the spots on the paper. Make sure to mark which side of the paper abuts the house or any building, and mark in any medium to large sized trees and shrubs. When you are visiting an allotment, be sure to chat to anyone there, tell them you are starting out, and say any advice would be welcome. They will know, and will want to tell you it all. If you have a dog, please don’t bring it to the allotment when visiting. 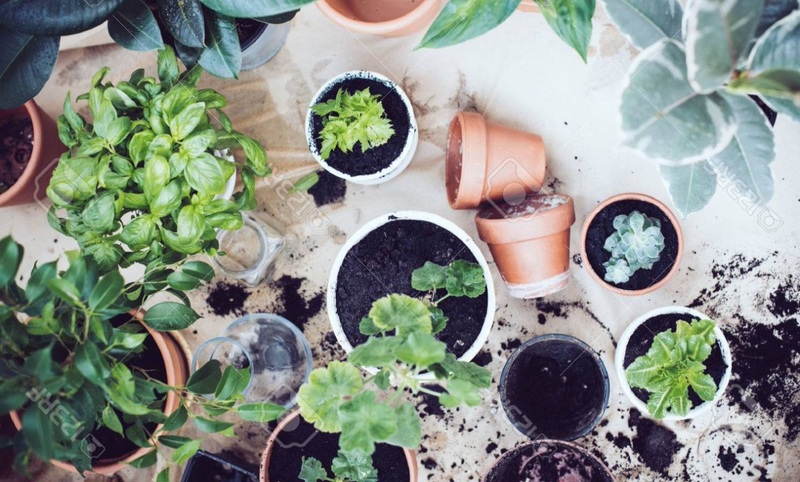 Afterwards, everyone can plan and draw his or her ideas for sowing seeds, planting on seedlings to a tub, and then planting out into the garden, or wherever. Some work will probably be necessary on the soil. Even if a small plant is being planted out of its seed tray, a much bigger hole has to be dug, and some good quality compost put in the base in a thick layer on top of drainage, and mixed in with the soil that will be filling in the hole. Also, if the soil is very heavy or cloggy, it will also need to be broken up with heavy grade horticultural sand or light gravel. Children may need help with the digging of the main hole, but they should be well able to add mixtures of compost, sand, gravel, into the bottom of the hole. Someone with a shed or a junk room can take on the job of storing sand, gravel, dry compost, and all extraneous tools. As with buying the seeds - sacks of compost, sand, and gravel, are likely to be too large and too expensive for one family. Sharing the buying, and the material and utensils, will save everyone money. Sharing on a Project adds to the enjoyment, and if you feel you are slipping, someone else can encourage you on the tougher days! YOU COULD START YOUR OWN COMPOSTING! The rules for composting are very simple. No meat or fish, no dairy, no oil, no cooked food. All other raw kitchen vegetable waste is suitable. If you have a lawn to mow and don’t use moss killers or any other such chemicals, the grass cuttings can be added in layers, separated by layers of torn up and scrunched newspaper along with layers of vegetable matter. A thick layer of grass cutting is difficult to break down as it lacks air, and it gets slimy, and can develop an unpleasant smell. As with everything we start, there can be a rush of enthusiasm, followed by a waning, when no-one wants to go out in the rain to put in the vegetable skins. It is best to start small and increase if enthusiasm increases. ** Even as we try to buy loose fruit and vegetables, many still only come in plastic containers. Now, these have their moment to shine, rather than be consigned to the recycling bin, after a wash. Please start saving every kind of container that comes your way from now on ~ even egg boxes and egg trays have their places in your collection. These make excellent single module seed trays, and when the seedlings are big enough to be potted on, these single modules of soft card paper can either be cut away gently using a scissors, or can be slit and the base cut out, leaving spaces for the roots to make their way into the soil of the new and larger container. Also, keep non-shiny, non-coloured, newspaper and free sheets. Do not keep any supplements or magazines if they have a high gloss finish on the paper. That paper is not sufficiently water absorbent. There is no need to buy seed trays if you have sufficient of the fairly large flattish trays from courgettes, mange tout, and some soft fruit. The plastic tubs from big mushrooms, tomatoes, grapes, and other fruit, are very useful for planting out your seedlings, as well as becoming seed trays. The large plastic pots from yoghurt or ice cream and the like, are perfect for a selection of various flavours of mint (which is one of those herbs that would take over the world if not contained, each plant needs its own pot). Pots with rims can have a length of garden twine tied under the rim and their strenght tested by adding some kitchen items such as egg cups or small glass jars. Once you feel confident a pot with twine under its rim would support drainage, soil, and a plant possibly including fruit. These pots can be hung on nails or cup hooks inside or outside windows, attached to the sides of window boxes, and can be arranged to maximise the number of pots you have getting full value of sunlight. 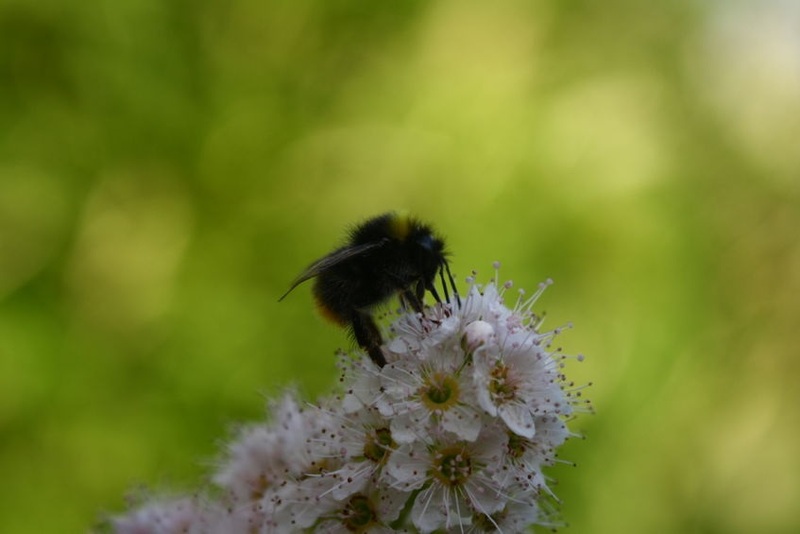 Copyright: <a href='https://www.123rf.com/profile_sedmicka7a'>sedmicka7a / 123RF Stock Photo</a> - A bumble bee on a buddleia blossom spike.